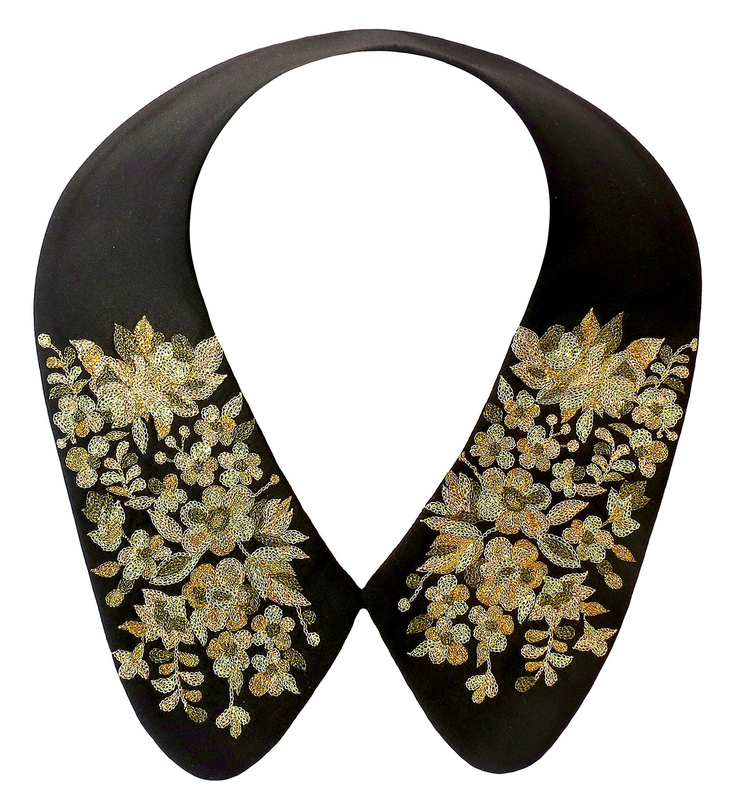 Brighten up your outfit with this handcrafted detachable collar in intricate shades of gold and copper Zari work. Free size, very soft and comfortable against the skin, this accessory can be worn over a round neck t-shirt/dress/ethnic suit. 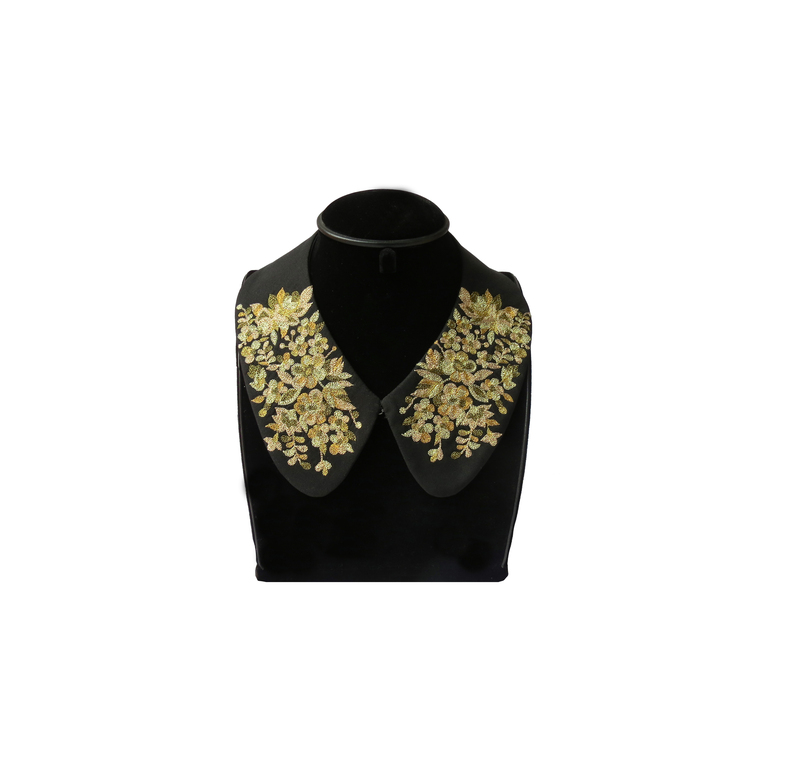 If you're experimental and style creatively, then even as a neckpiece! A perfect statement piece accessory to add that touch of sparkle to your outfit!